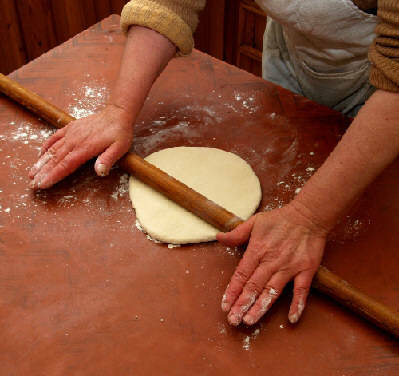 The rolling pin shown in this series of photos is the traditional rolling pin used to roll out very large sheets of thin phyllo for all kinds of pastries. It is 3 feet, 4 inches long, and 1 inch in diameter. If using homemade phyllo, start with a piece the size of a large steak. 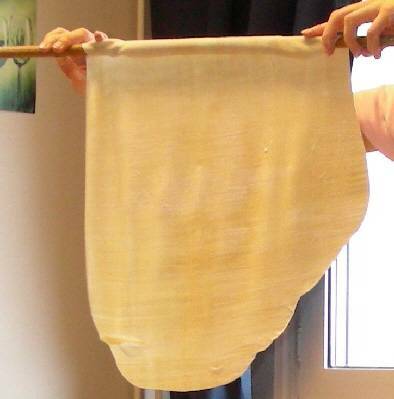 If using sfoliata (a thick sheet of phyllo dough or puff pastry) start with one sheet. 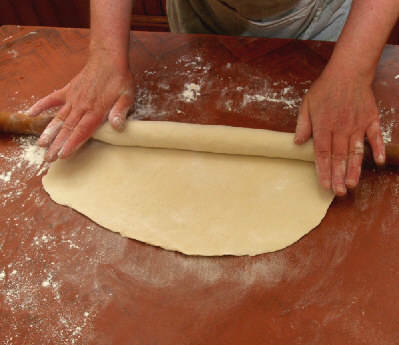 Work on a lightly floured surface and put some flour on your rolling pin. 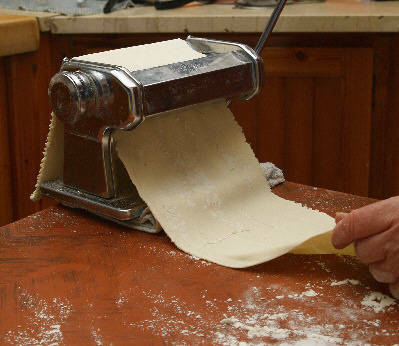 Roll out on with even pressure until the dough is about 1/4 inch thick. 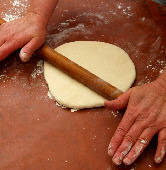 Keeping the dough lightly floured, instead of rolling over the top only, roll the dough over the rolling pin. 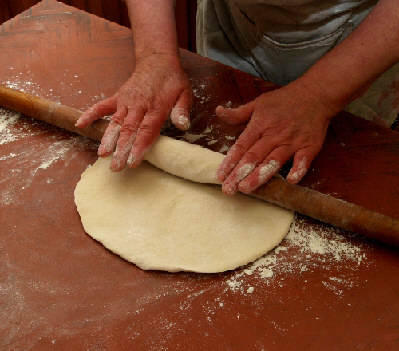 Place your hands in the center of the rolling pin and as you roll, move them out to the sides so that both the rolling pin and your hands are working to spread and thin the dough. 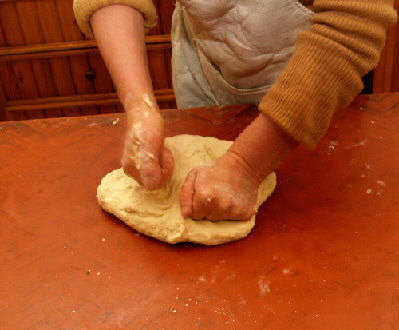 Continue rolling making the dough thinner and thinner each time. 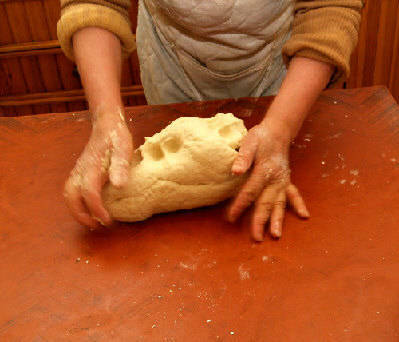 Detail of rolling: move hands from the center to the sides to keep even pressure and help in spreading and thinning the dough. 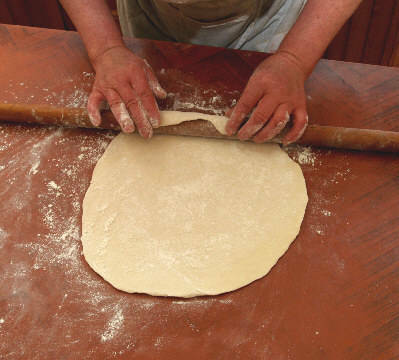 Continue rolling until the dough is the thickness you want. Roll out to the thickness needed as described in your recipe.